What Is a Meme (and How Did They Originate)? If you’ve used the internet for more than a few days, you’ve probably seen a meme. They’ve become an integral part of modern online life. But, where did they get their start? How have they evolved? And where did the word “meme” come from, anyway? Where Did the Word “Meme” Come From? Dawkins coined the term because he was trying to figure out whether there was a measurable unit describing how ideas spread and propagated through generations. So, put simply, a meme is to an idea what a gene is to a physical trait. And much like how genes and physical traits evolve through natural selection, Dawkins believed that anything capable of undergoing evolution—like memes and ideas—also did so through natural selection. This is where the modern form of the word “meme” is derived—the idea of the replication, selection, and evolution of ideas all working themselves out in the biggest proving ground of ideas ever—the internet. Were There Memes Before The Internet? Memes have been around since long before the internet existed. In fact, they have been around since before Dawkins coined the term, showing up as early as 79 AD in a Pompeii ruin and as late as the 1970s, in graffiti. 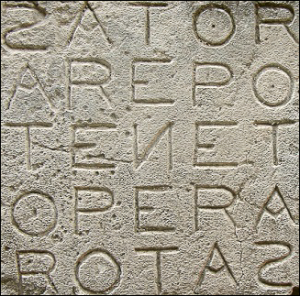 The Sator Square is a palindrome of the five words “SATOR AREPO TENET OPERA ROTAS”—one on top of the next. You can read in any direction (assuming you read Latin), including upside down and backward. Although nobody knows for sure what it means, it has shown up over the centuries in different cultures all over the world, including France, England, Syria, and Italy. 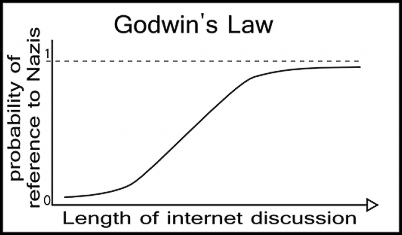 Another example of memes occurred on Usenet in the early 1990s: Godwin’s Law. Although it was initially conceived for a newsgroup discussion forum, it remains as applicable today as it did almost 30 years ago. 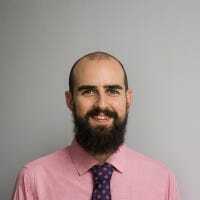 Godwin’s Law states that “As a Usenet discussion grows longer, the probability of a comparison involving Nazis or Hitler approaches one.” Once a thread would reach that point, it was traditionally considered over, and whoever mentioned the Nazis immediately lost any credibility in the argument. RELATED: What is the Difference Between Usenet and the Internet? 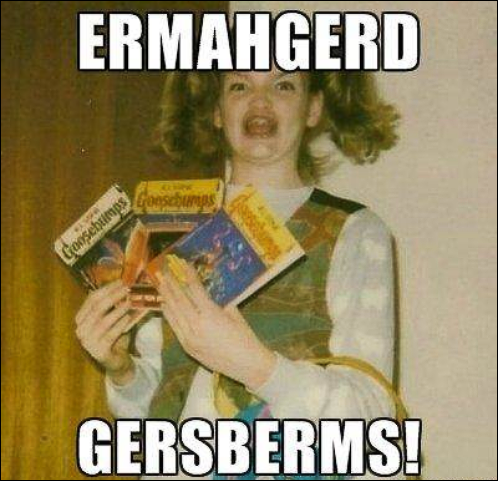 What Were The First Internet Memes? The first viral internet meme can be pinned back to a particular dancing baby that was spread around the internet, before finally appearing on an episode of Ally McBeal. In 1996, graphic designer Michael Girard created software that showed how movement could be programmed and projected via computers. The final design was the model of a baby demonstrating different movements from the Cha-Cha-Cha. Girard’s employer then sent the demo out to developers to show off their software’s capabilities. One of the demos arrived in the inbox of a LucasArts employee, who then turned the video into a GIF and shared it (largely via forums and email, but also on the burgeoning web), sending it into a widespread viral sensation. The Hampster Dance was another popular early internet meme. It was a website that featured rows of animated GIF hamsters dancing to a sped up version of “Whistle Stop”—a song used in the credits of Walt Disney’s Robin Hood. The site was created by a Canadian art student in a competition with her sister and a friend in 1998, to see who could generate the most web traffic online. After only generating 600 views in 8 months, her website suddenly went viral. In just four days, her site saw over 600,000 views, gaining popularity through email, blogs, and even bumper stickers. How Have Memes Evolved Since Then? With the wide use of social media and sites like Reddit, 9GAG, and 4Chan, it has become increasingly easy for memes to gain popularity and go viral overnight, with millions of daily visitors looking to have a lol or two. Before the internet came along, memes tended to have political or cultural significance, and their popularity lasted much longer than they do today. While some memes today can still show longevity, most go from viral to forgotten in a relatively short time. This is partly due to how fast the internet moves (there’s always something new to grab your attention) and partly because of how easy it is to create memes. Memes have also moved away from political or cultural topics to focus more on pop-culture references and sarcastic life observations, making them relatable, funny, and easier for them to spread like wildfire across the web. 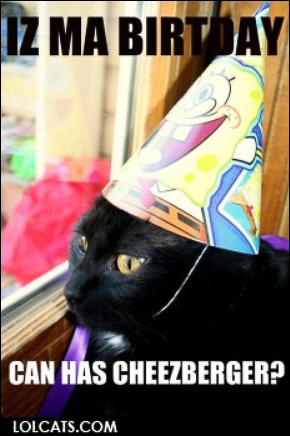 As of 2010, the LOLCat Bible Translation Project finished a translation of The Bible into lolspeak, even going as far as to translate The New Testament as well. But things don’t stop there: an esoteric programming language called LOLCode was born, using the very same format of speaking in LOLCats memes, to form an ever-evolving meme beyond a simple picture. Want to learn more about specific memes? There’s no better place to explore than Know Your Meme—a veritable encyclopedia of all things meme.